Make a fabulous child's quilt cover using this colourful set-of-8 quilt blocks. Alphabet Clowns in 8 designs to teach the alphabet are printed on luxury white polycotton. Each block measures 30.5cm square. Paint the set of quilt blocks, cut out and sew together with alternate blank square blocks of your own choice (not supplied). 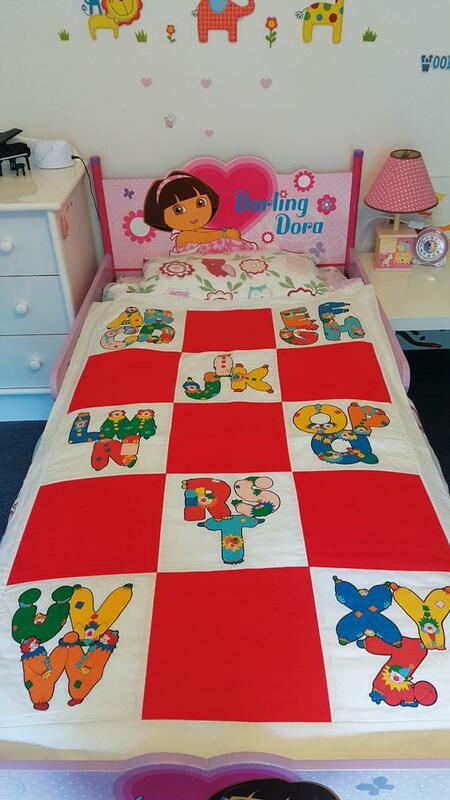 Add a backing sheet and place doona or stuffing inside. Colours required: 3, 9, 21, 24, 25, 72, 74. Is the required paint included with the blocks?